A chromatic antidote to the gloominess of the winter collections, neon brightens up traditional colour palettes typical of the cold season, putting in place an electric good mood with futuristic hints. Paris, February 2019. 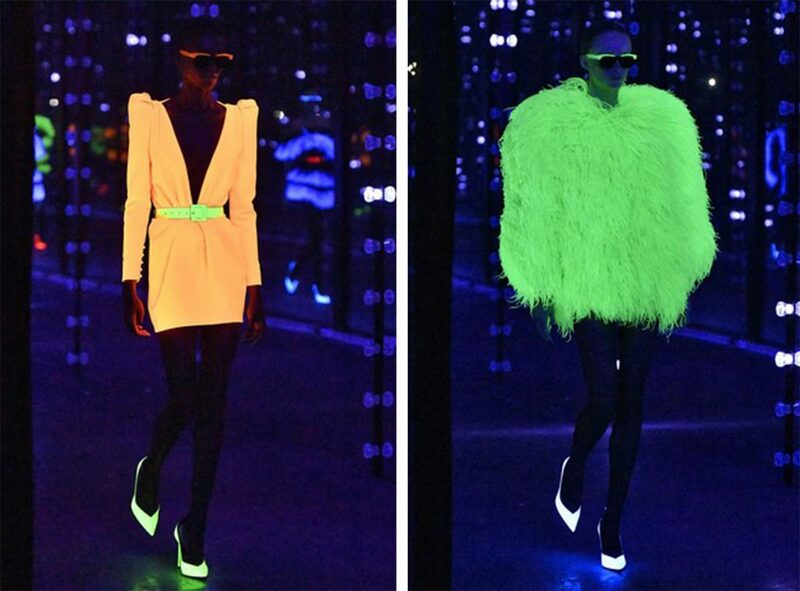 Once again, Anthony Vaccarello made a splash, creating a Saint Laurent show finale marked by… neon. 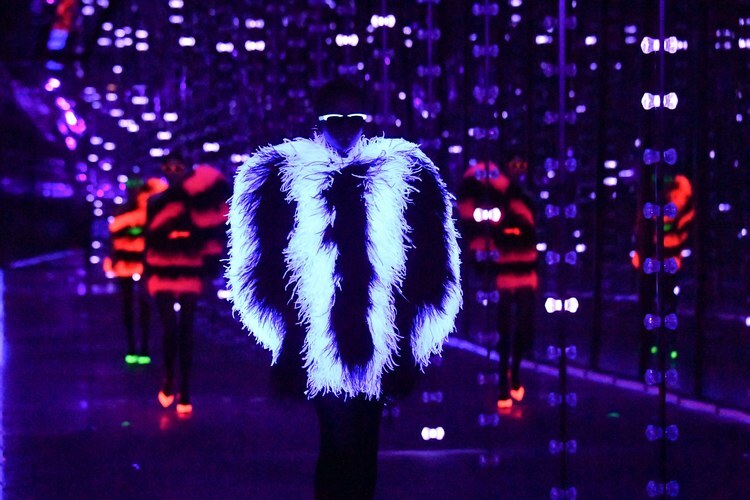 Lit by a host of LED lights, eighties’ looks in sharp cuts in shades of orange, green and yellow came down the runway, glowing in the deep darkness into which the guests (and models alike) were plunged. A highly Instagrammable style statement that also has the merit of being part of a much deeper ready-to-wear trend. 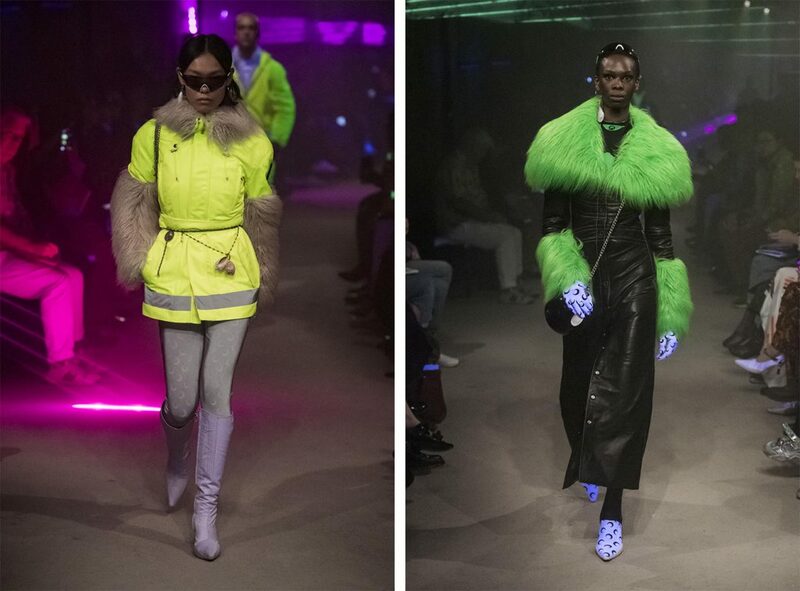 Neon and its retro-futuristic aura were also a firm feature of the collections from colourful Marine Serre with a contemporary strapless bubble dress and an outdoor jacket reminiscent of high-vis safety jackets – no doubt a nod to current affairs. 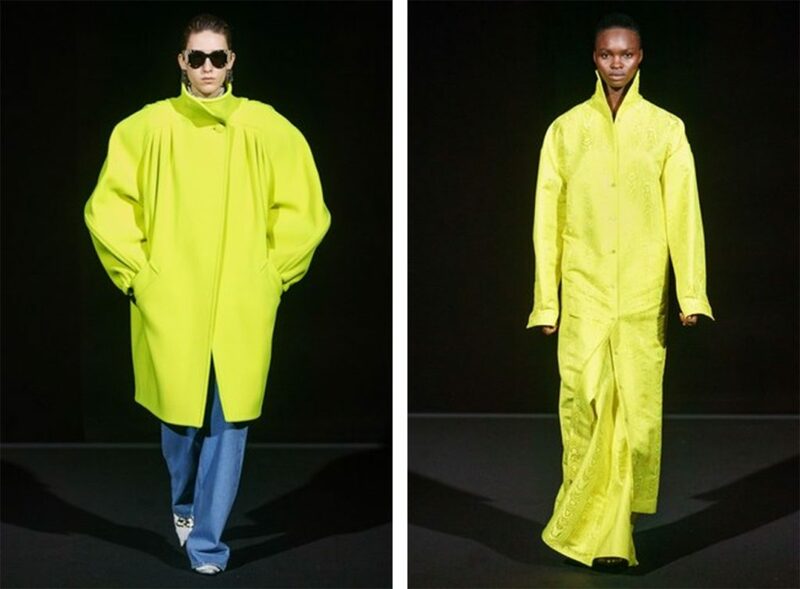 Finally, the controversial Demna Gvasalia at Balenciaga allowed himself a few incursions into neon fashion with an enveloping winter coat in electric green. A bold shade that would be found a little later in the show in just as surprising a way on a long tunic with Asian accents. 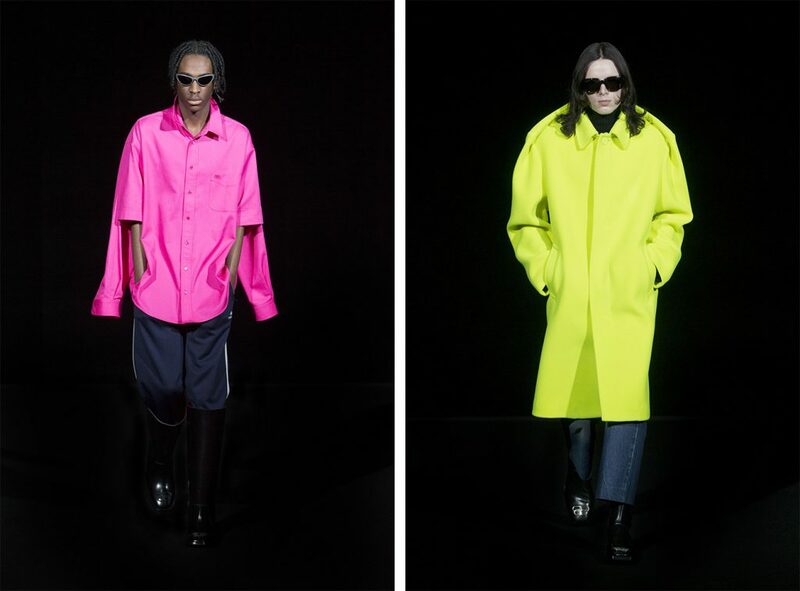 Synonymous with a nostalgic eighties’ wardrobe or the slightly more techno decade of the nineties, each time that it appears neon acts like a disruptive element in the usual seasonal style pieces. 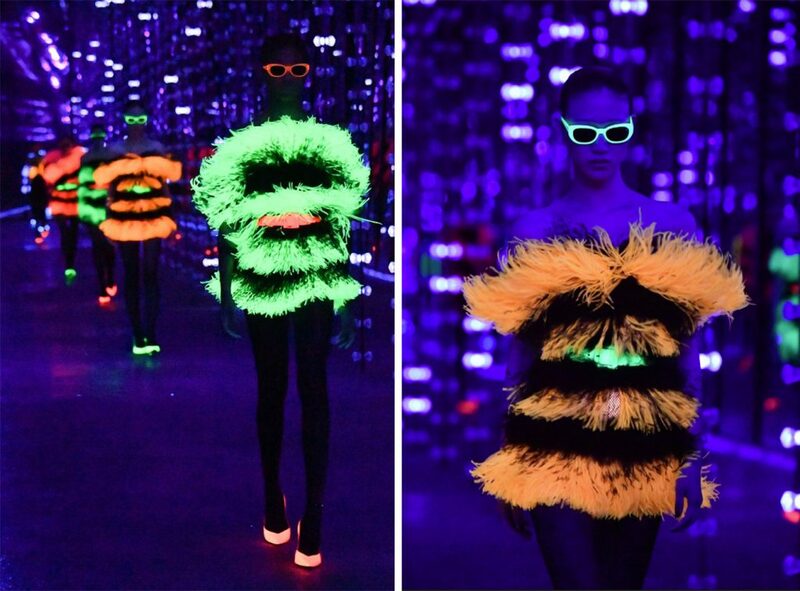 Decidedly optimistic, rebellious and representative of a certain futuristic imagery, neon colours make a striking impression with their boldness and “feel good” effects, as we have already described on our Instagram account, where a post is dedicated to this new trend. 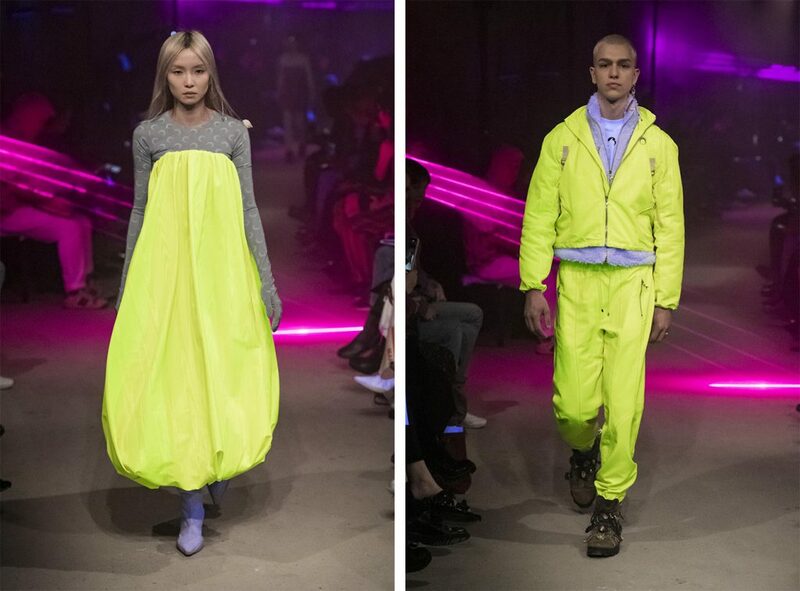 For winter 2019-2020, so-called “Stabilo” colours are already promising to express the trends through post-apocalyptic fashion, in which past seasons’ minimalist austerity will give way to an ultra-dynamic renaissance.